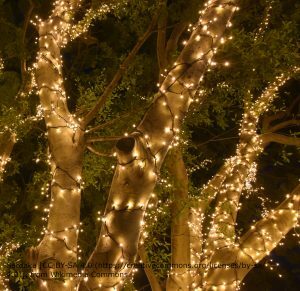 I am still pondering why a pagan spirit of the dead, or, more recently a demoted angel, should play such a big part in Christmas – for Christmas certainly wouldn’t be the same without a fairy at the top of the tree or strings of fairy lights illuminating more than you thought humanly possible. For the UK it wasn’t until the 1920s that the majority of us had Christmas trees in our homes. This coincided with a surge in the popularity of fairies. Sir Arthur Conan Doyle used photographs of the Cottingley Fairies to illustrate an article on fairies that was published in 1920 Christmas edition of The Strand Magazine. With a circulation of 500,000 this article will have reached a huge audience. Conan Doyle was fascinated by mystical subjects and loved a good séance. 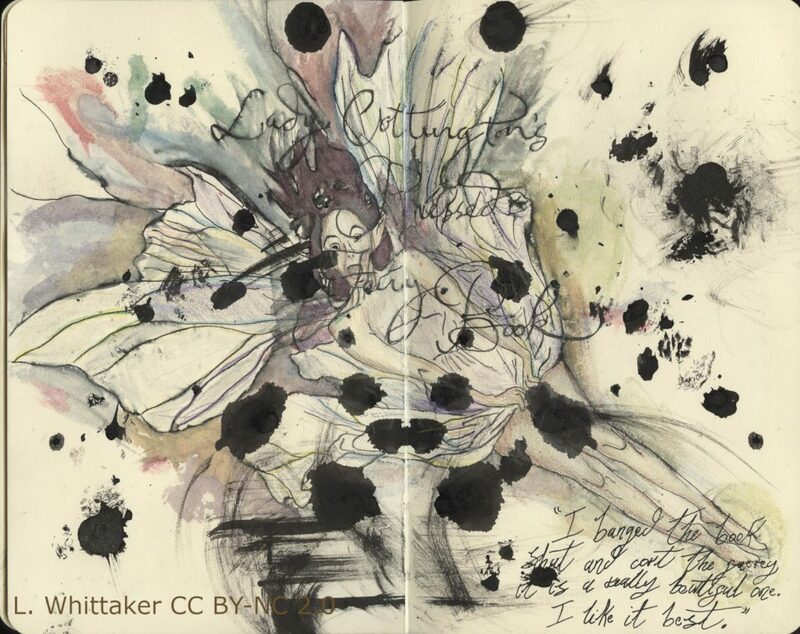 His 1922 book The Coming of the Fairies included his theories about the nature and existence of fairies. And just a short while later (1923) Cicely Mary Barker’s (CMB) Flower Fairies enchanted adults and children alike – and included the Christmas Tree Fairy. I suspect that these two authors, but particularly the latter, played a major part in why my family and many others have always had a fairy at the top of their tree. 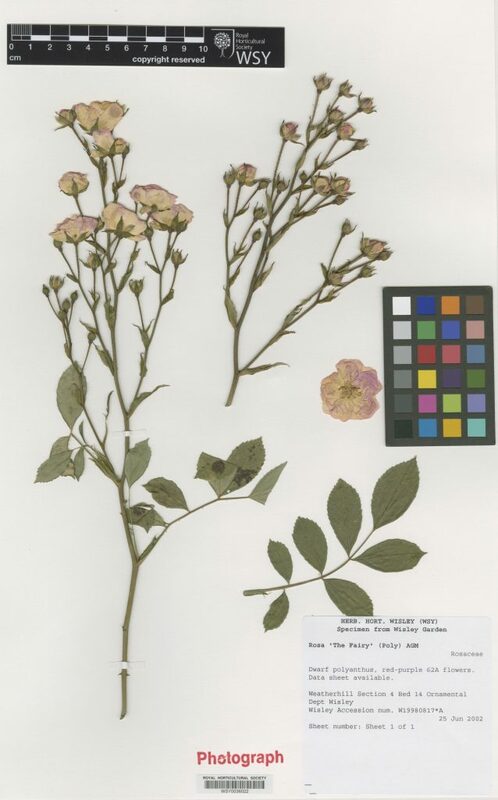 Herbarium specimen of Rosa ‘The Fairy’. Introduced in 1966, this 52 year old cultivar has mauve flowers and foliage that turns orange in the Winter. 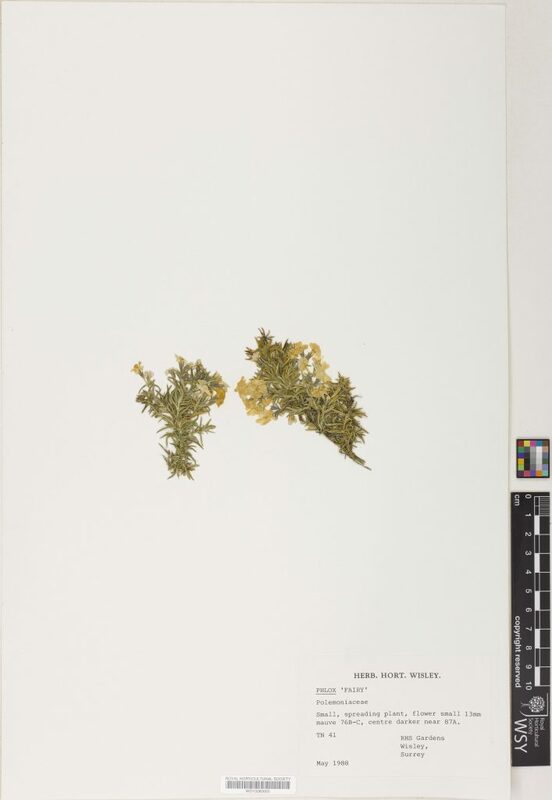 Quite an apt name as heathers are said to be an ingredient in fairy dishes. CMB’s Heather Fairy is said to leap around a great deal. 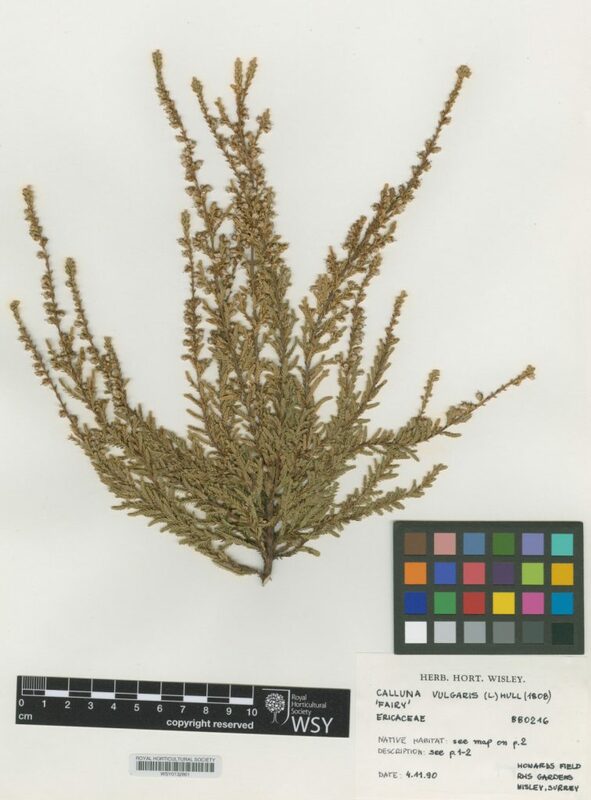 Herbarium specimen of Calluna vulgaris ‘Fairy’. CMB’s Fuchsia Fairy is a dancer. Alas this beauty is prone to rot and it is likely to have been lost from gardens for good. 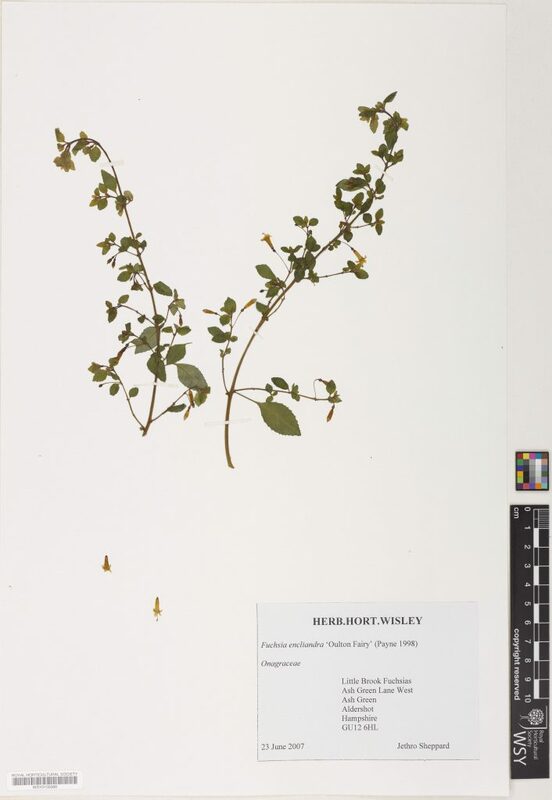 Last listed in the 2003 Plant Finder, this specimen is a great example of why our herbarium is of importance to horticulture. Not only perfect for studying morphology, the collection is also a massive DNA bank. CMB’s Daffodil Fairy is very loud. 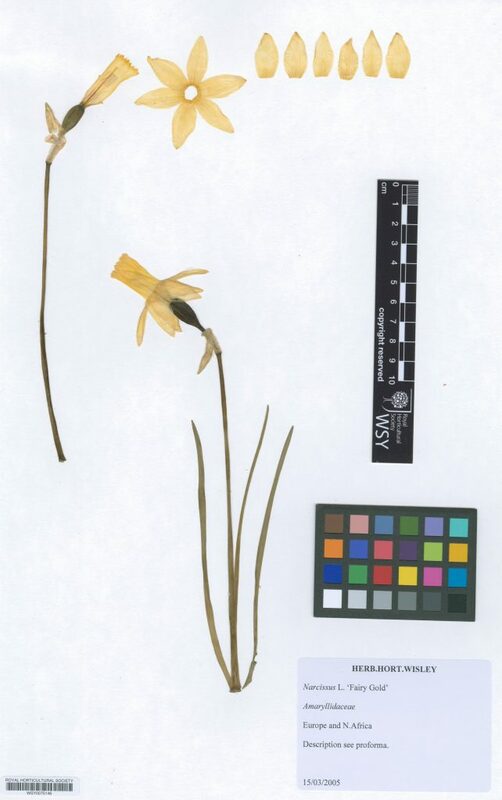 Herbarium specimen of Narcissus ‘Fairy Gold’. The short Phlox subulata is a hairy leaved herb that forms mats or cushions. Native to eastern and central USA this evergreen perennial is widely cultivated. CMB’s Phlox Fairy is very smiley.